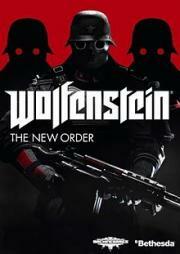 When a game can take as exciting a concept as shooting Nazis on the moon and make it a boring slog, you know they're doing something wrong. Surprisingly mature with solid writing and a sympathetic supporting cast. Gameplay is pretty middling, but not enough to detract from a very good experience. Proof that old dogs can do new tricks. Bethesda really shocked us all by how much life they breathed into an older, simple shooting title. BJ Blaskowicz actually becomes an interesting, fleshed out character, something I never thought I'd see. And on top of that, it's just a damned fun game. Super visual content, some difficulty, loads of fun! Quiet whispered Terrence Malik like monologues while blowing Nazis in half with dual wielded laser shotguns.